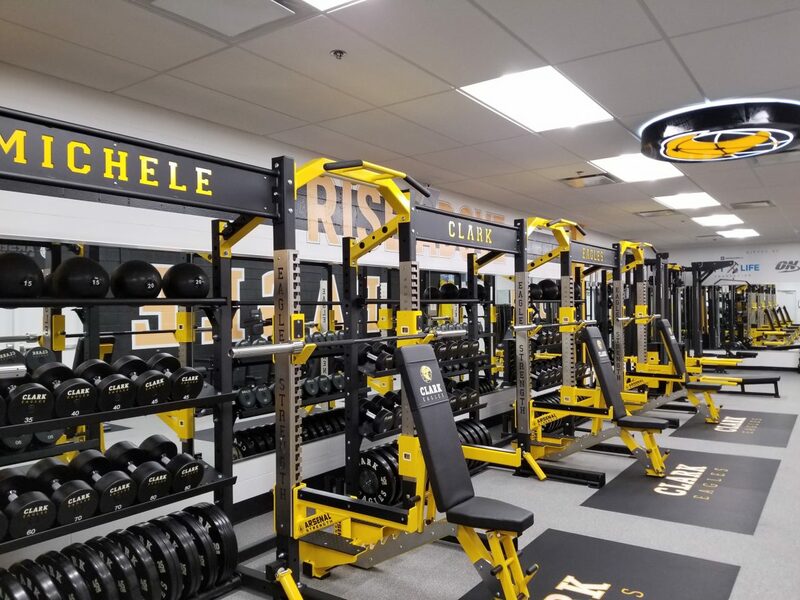 This past Friday, students at Michele Clark Magnet High School saw their old weight room transform into a new state-of-the-art fitness center. Students got their first glimpse after two months-plus of work; the center was built and funded by Optimum Nutrition, a sports nutrition company, and Lift Life Foundation, a nonprofit that helps underfunded schools by awarding them new athletic facilities. The school won the facility through a video submission contest the organizations held throughout the city. It also helped that Michele Clark recorded a 100 percent graduation rate last year. The facility is dedicated and named in honor of Carolyn Brown, a Chicago Police officer who served onsite at the school and coached as well. Brown died before the fitness center was completed. The space was renovated from floor to ceiling and inside is an array of advanced equipment including elliptical platforms, a lifting station, dumbbells, leg presses, cable crossovers and cardio equipment. The old facility was raggedy and the equipment was rusty, said Principal Charles Anderson Jr. This new facility has exceeded both his expectations and the students’. “It’s going to improve [the school]. But it’s going to make me have to fight these kids to stay out of here now, you gotta go to class first,” Anderson said. The new gym will have a positive impact on the students and the community, Morton said. Optimum Nutrition supports people who try their best and try to achieve their goals, so giving the school this facility will bring their academic and athletic goals to life, he added. “I think beyond the physical health benefits that they’ll see, we think that exercise can help manage stress, boost confidence and encourage goal setting,” Morton said. Derrick Barnes, a 10th grader, said the contrast between the old and new facility is hard to put into words. He is hopeful the new gym will help the football team succeed in the future, nothing they’ve won four of their past five games. Work out for free at any of the Chicago Park District's gyms, fitness classes and lap swim Jan. 7-13. The idea of opening a new Austin high school was met with mixed reviews at a meeting earlier this month; parents and other West Side residents discussed ways to ensure the schools that are losing students remain open.